Americans are known for their acquisition and one of the side-effects of getting some much “stuff” is that we run out of space for it all. One person described as a “law of nature” that states, "Stay in one place long enough and junk will multiply accordingly." And the reality is that we are experiencing a seemingly endless accumulation of junk and clutter. Whether these means simply too many clothes, shoes, and other personal belongings or even larger household items like furniture or sports equipment, the truth is that almost all of us find ourselves trying to cope with excess junk periodically. Especially in the garage or the basement! There can be a number of reasons why people want to reduce their accumulated junk, or simply downsize their lifestyle. It could involve decluttering their homes and organizing their lives. Maybe they feel things have gotten out of hand with all the stuff in their home space. For many, this may simply mean getting rid of some household belongings. 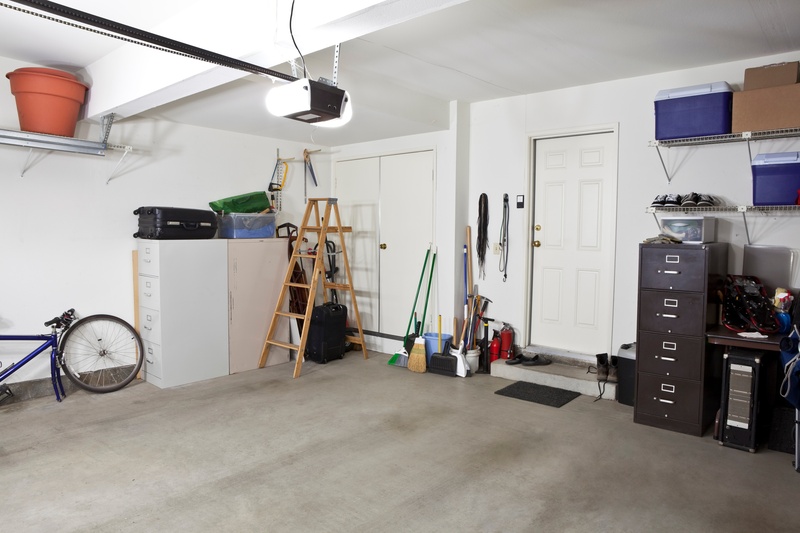 For others, it might involve clearing out entire spaces like a basement or a garage – or the entire house! But any of these projects require planning. And they require disposal options, since decluttering almost always involves getting rid of things. The problem is that too many people assume that "getting rid of things" only means tossing things in the trash or taking them to the dump. However, adding to the municipal waste load or the local landfill isn't the only, or even best, choice. By doing a little planning, most of what is usually considered to be just "junk" can be reused or repurposed. Even if it just means taking it all away for recycling. Your unwanted items that you consider to be worthless junk may hold great value for someone else. In fact, the smart approach is to consider all of your disposal options when it comes to junk disposal. How you choose to get rid of things in your pursuit of decluttering and organization can benefit others and even benefit the planet! A successful home cleanout project will require some dedicated time, a great deal of effort and some prior planning. Even a smaller effort such as a garage, basement or storage room cleanout is no different. And keep in mind that if your basement or garage has become nothing more than a "storage unit" for your home, considering the help of garage or basement cleaning services might be worthwhile. And even if you choose to go it alone, you will still want to consider hiring a junk hauling service or even a dumpster rental depending on the volume of stuff you have. Visibility refers to keeping stored items in places that are easily seen and identifiable. Accessibility requires making sure the things you need most often are easy to get to. And flexibility means having storage systems that can be easily re-arranged or re-used in different ways, when needed. With the end of summer just around the corner, this can be a great time of year to finally declutter your home (or basement or garage) and make some more room for all the Holiday goodies. Most people face the challenge of keeping their space uncluttered and organized after their big cleanup project is finished. And you probably realize that it's never enough to simply get free from your clutter and then organizing the things you keep. That accomplishment is certainly worth celebrating, but consistently avoiding clutter and staying organized is the real goal. For some this can mean adopting a "minimalist" mindset. In can mean pursuing a lifestyle of accumulating less things and always being willing to get rid of things you no longer need. It also means developing a habit of organizing and keeping your living space uncluttered. One approach is to apply this mindset to all the spaces in your home with a periodic house cleanout. This can be a great practice and by calling on a house cleanout service once a year or so you can stay on top of the excess junk. And keep in mind that everyone is different and can have different ideas of what constitutes "clutter." Once you decide to get rid of all the junk you've gathered during your cleaning project, you will need to determine which firm is the right one for the job. While you could hire someone your cousin knows, or do it yourself, Junk King really is the firm of choice. One of the best things about hiring Junk King is that we recycle much of the material we pick-up. This is proof of our commitment to being an eco-friendly removal service. If you have questions about what we do or what we believe, give us a call at 1.888.888.JUNK (5865).